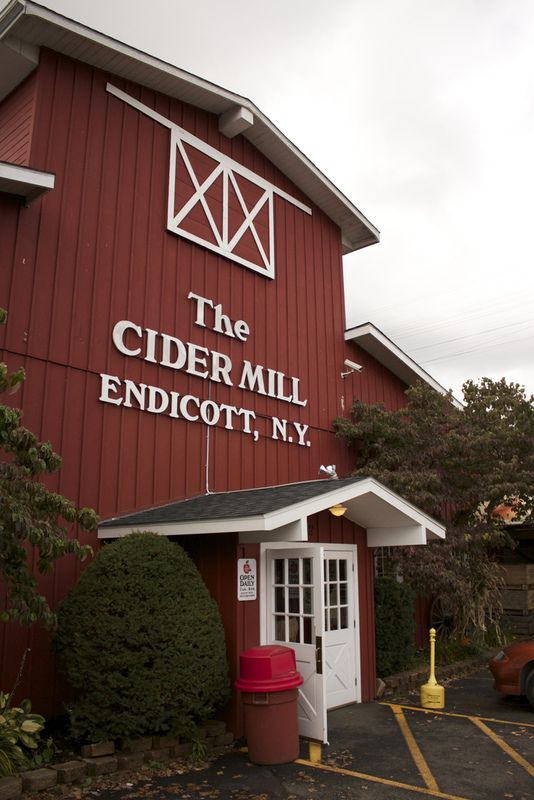 The Cider Mill in Endicott, New York; fresh cider, fresh donuts, pumpkins, candied apples & more Photo by Jared Schmidt/Flickr (Noncommercial Use Permitted with Attribution/No Derivative Works). What does the name Endicott mean? Endicott is named after Henry B. Endicott, businessman and partner of George F. Johnson (Johnson City's namesake) of the Endicott-Johnson Shoe Company. 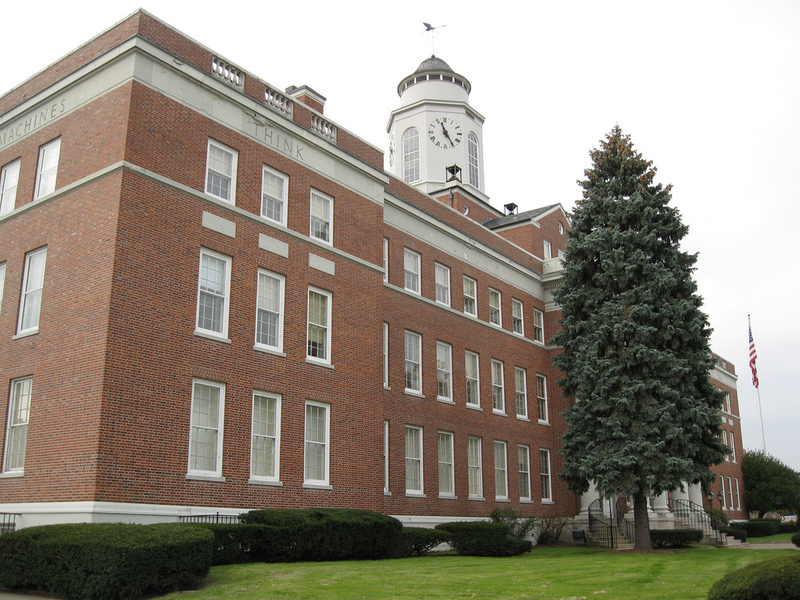 Endicott founded the community in the late 19th century as the "Home of the Square Deal." Endicott's population literally grew and prospered directly from the European immigrants that came to get jobs at Endicott-Johnson Shoe Company. A large segment of the population was of Italian nationality and ethnic origin. The Shoe company's president, George F. Johnson, saw to it that hundreds of homes were constructed and sold to the Endicott-Johnson workers, very near to the company's manufacturing plant. Endicott-Johnson Shoe Company grew large enough to supply shoes and boots to customers all over the world. As the worker population grew, small businesses sprang up in the village's business sector including restaurants, bakeries, barber shops, corner grocery stores, and hardware stores. Endicott also became the home and disputed birthplace of International Business Machines (IBM). IBM was incorporated in 1911 (previously named CTR, and before that, Bundy Manufacturing during the late 19th century). Endicott has a specialty food originating from an Italian immigrant who brought what he called "spiedini" to the village. Spiedini became known as "spiedie," which is meat cut into chunks, marinated in a "sauce," and then skewered and cooked over an open flame or charcoal grill. When they are finished cooking, spiedies are slipped off the skewers and put in a fresh slice of Italian bread that is baked in the local Endicott bakeries. The original "spiedini" meat was lamb; but veal, venison, pork, beef, and chicken became more popular as time went by. The term "spiedie" comes from the Italian spiedo (meaning spit) or spiedini, referring to cubes or balls of meat cooked on a skewer. Anyone living more than 25 miles from Endicott, in any direction, would never have heard of spiedies. Spiedies have been celebrated at the Spiedie Fest and Balloon Rally in Binghamton, NY every August since 1983. The annual event includes a spiedie cook-off in search of the best spiedie recipes. Commercial marinades are available regionally and can be ordered from various Internet websites for shipment throughout the world. Original article by R. White; 49 year resident of Endicott NY. 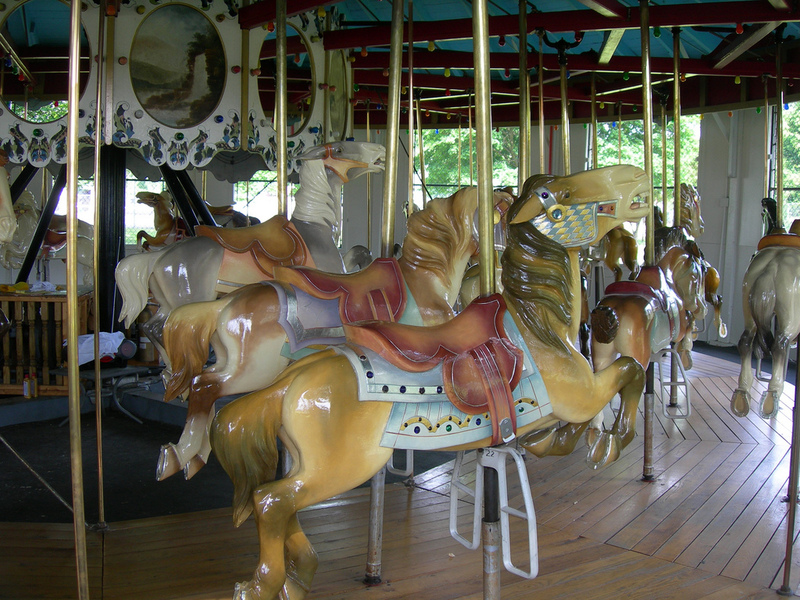 Vintage carousel in Endicott NY; installed in 1929 by George F. Johnson, who donated 6 carousels in the Endicott/Johnson City/Binghamton area. The carousel includes 36 animals and is free to ride. Photo by Jimmy Emerson, DVM/Flickr (noncommercial use permitted with attribution/no derivative works). Endicott, New York - Washington Ave.
Video of Endicott, New York - Washington Ave.